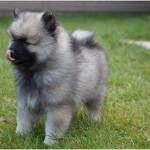 The Dutch Smoushond which also Known as the Hollandse Smoushond or the Dutch Ratter is really a small breed of dog. 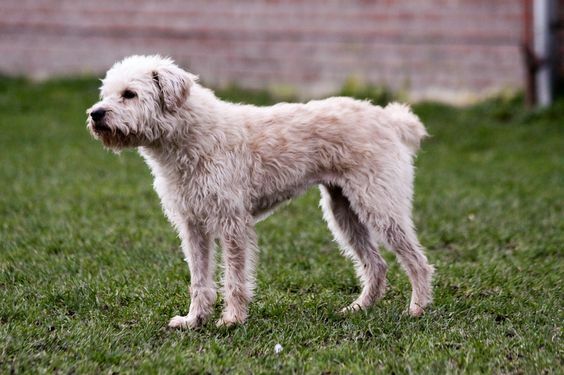 These Dutch smoushond are the descendants of a type of a dog which can be best described as terrier like, and are always kept in the stables in order to eliminate the rats and the mice in the Netherlands and Germany. These Dutch Smoushonds are mostly considered that they are related to the Schnauzer. These Dutch Smoushonds are native of Netherland and are not really that well known outside the country very much. The Dutch Smoushond which is at times called the Hollandse Smoushond or the Dutch Ratter is indeed quite small when it comes about the fact of its size. The Dutch Ratter typically at most is 10 kg in weight; which is quite a less weight when it comes to dogs. And, the ditch smoushond is 43 cm when it is measured along with its withers. The coat and the texture of these Dutch Smoushonds are indeed very rough and very shaggy. These Dutch Ratters mostly comes with any kind of yellowish shade in colour. 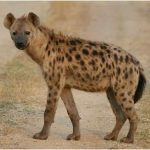 The shape of the Dutch Ratter’s head is characteristically broad and short; they also have drop ears sets which are high on the head. The Hollandse Smoushond Club which is also at times known as the Smoushonden club was initially formed in the year 1905 in order to document and register all the small stable dogs as a purebred dog breed, because it was in a pure danger of dying out. Their origins might have been with the ancestors of the Schnauzer dog breed. The name Dutch Shmoushond refers to their shaggy fur and face, because Jewish men were called Smouzen in the early and late 1800s, which had beards and kind of long hair. And, of course they were called “Dutch” in order to prevent any kind of confusion what so ever with the similar Brussels Griffons. During the World War II, this breed nearly almost disappeared. 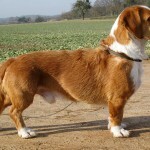 In the year 1973, however several dog breeders began this reconstruction of the breed with the very few remaining dogs. Out of which most of them were being crossbred with the other breeds. Much of this reconstruction was accomplished with the help and use of the Border Terrier crosses. They may be popular inside the Netherlands, but this breed is not popular elsewhere. In 2001, the Fédération Cynologique Internationale recognised it and placed in section 1 of group 2. It can at times be found listed by few of the many number of minor registries that are based online, and few dog registry businesses that view it as a “rare breed”. Dutch Smoushonds are very adorable and easy going. They are a good companion for wherever you go and they like to get familiar with different surroundings. The Dutch Smoushond tends to be calm and silent with strangers, but is playful and loving with known people. These dogs are very skilful, extremely intelligent and have considerable power of adaptability. They are sharp and always alert of their surroundings which makes them a good watch dog. Dutch Smoushond do not like to get disturbed or distracted. They need to be corrected when their barking becomes somewhat obsessive and proper training can help. The dogs absolutely get along with the children and accept any cat happily. 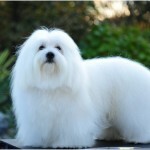 They are friendly with other dogs and are eager to please, so training them is not that difficult. It is important, to make sure that you are very consistent toward them, as they will try to take advantage if they think their handler is rather easy going. Maintaining a communication is very important because they are really an active dog. Dutch Smoushonds are generally easy to take care of and groom. Their coat is generally unkempt and has a messy look. Depending on their quality and texture of the coat, the Dutch Smoushond requires their hair to be plucked out by hands for generally two times in a year. Take them to professional groomers who are experienced in dog grooming because it is very important that you take their grooming seriously or else different types of unhealthy insects can start infesting the hair and skin surface. These untiring breed of dogs needs long walks daily; where the dog is required to follow beside or behind the person on the lead. There instinct tells them that the dog needs the leader’s leads to follow it. And that leader is the human. They absolutely love to go for swimming. 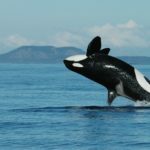 If you enrol it in some kind of agility skills or any ball playing courses, then that would be really a rewarding experience for the both of you. The Dutch Smoushonds fall under the canine family, and like any other dog breeds it is not a surprise that their life expectancy is not that high when calculated in human years. But indeed this particular breed does tend to live up to 13 to 16 years of age, which considering the fact that they are dogs, is a pretty interesting and quite good news for the owners. The Dutch ratters are not very demanding, nor are they a fragile breed of dog. So these Dutch Smoushonds will do pretty much okay, and if not great inside of an apartment. This is of course considering the fact that as long as it gets its daily dose of adequate exercise. These Dutch Smoushonds tends to live indoors as much as possible because they prefer cooler climates.